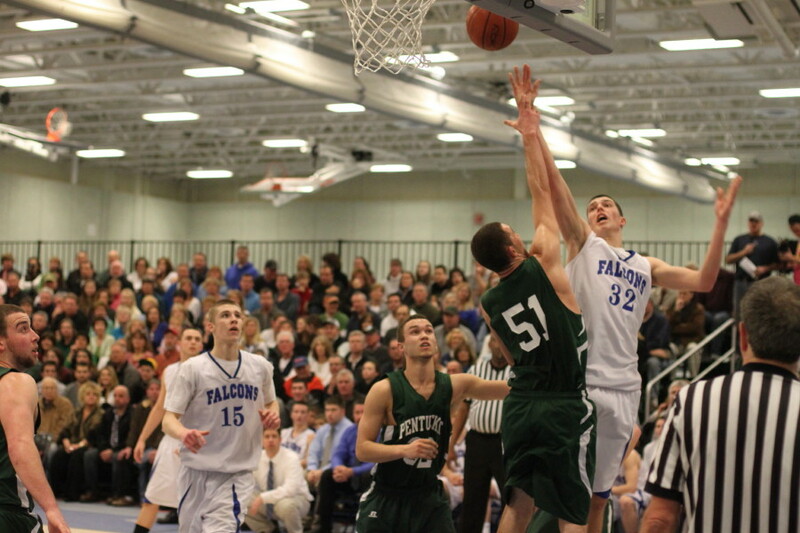 (Danvers) The Danvers Falcons made it look way too easy as they buried Pentucket, 75-45, in the D3 North quarterfinals on Saturday night at DHS. 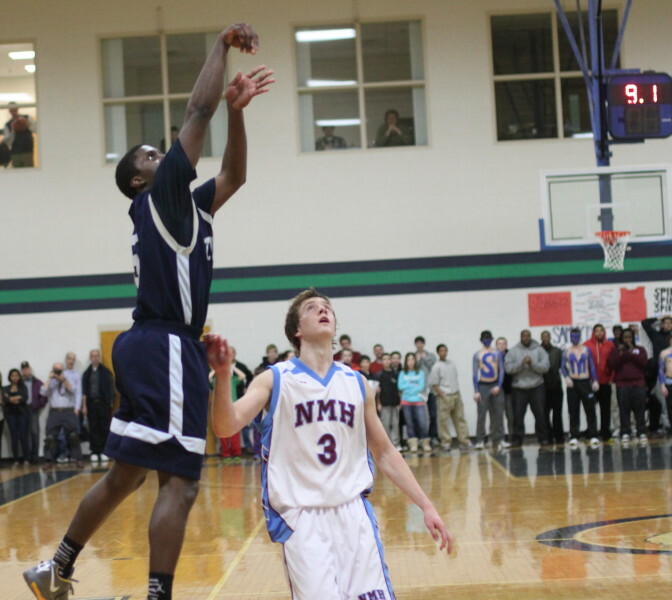 Danvers moves on to face Wayland in the D3 North semifinals at Wilmington High School on Tuesday (7PM). In this one, Danvers (17-4) broke away from a 6-6 tie after four minutes and by halftime were in complete control (44-24). 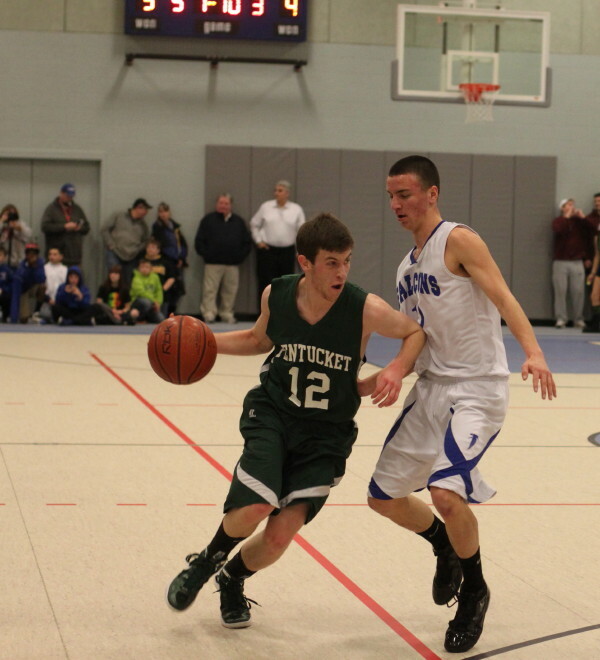 Pentucket (14-8) was smothered defensively down one end and victimized down the other end by a team packed with players able to get to the rim. 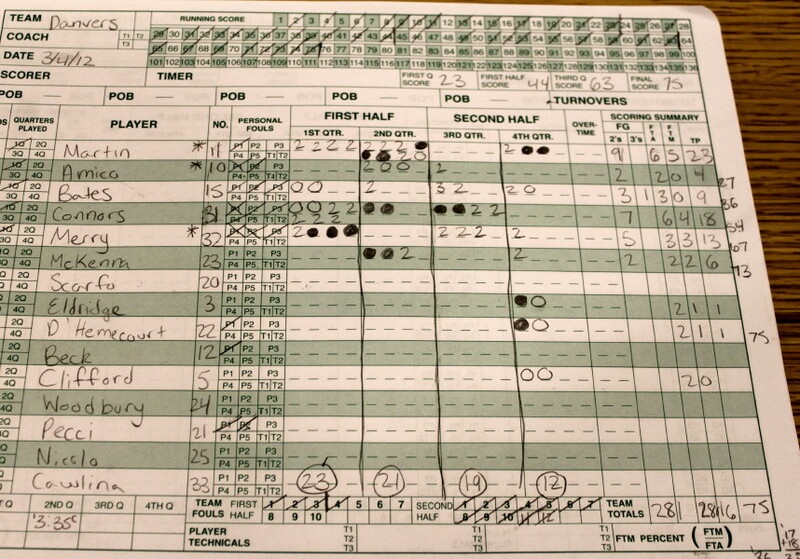 Danvers scored twenty-five baskets in the first three quarters and twenty-one of them were layups or converted rebounds. 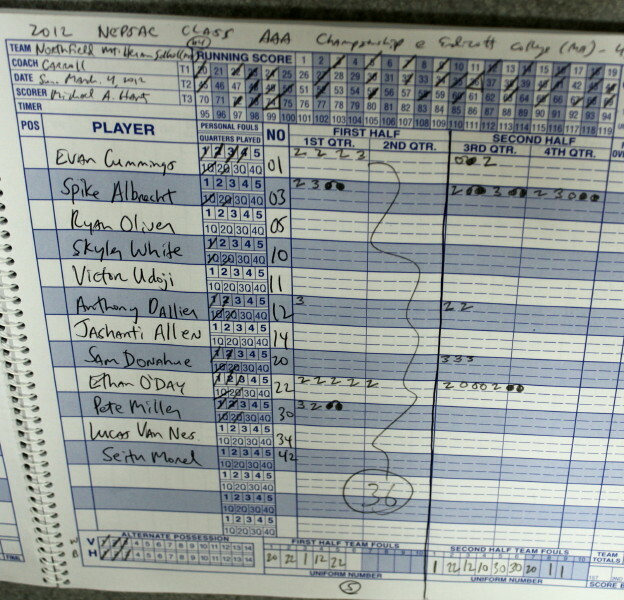 Let’s just say they turned up plenty of high percentage shots. 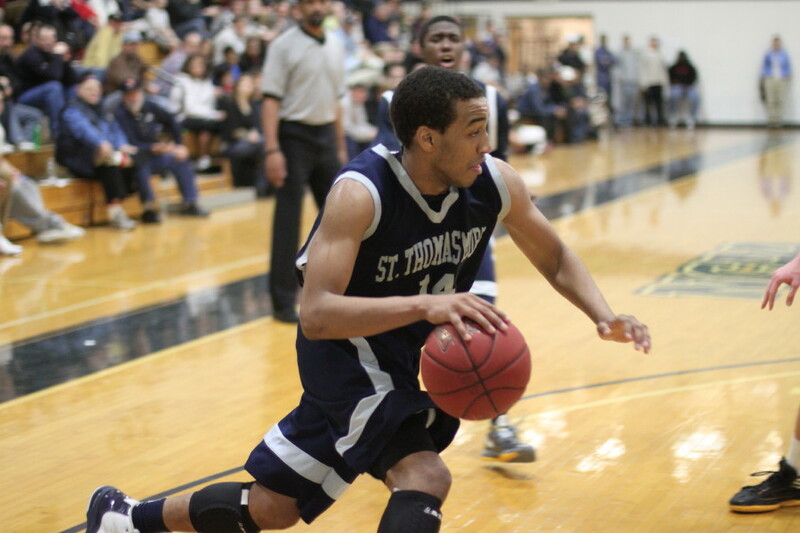 Junior Eric Martin (23 points) had nineteen in the first half. 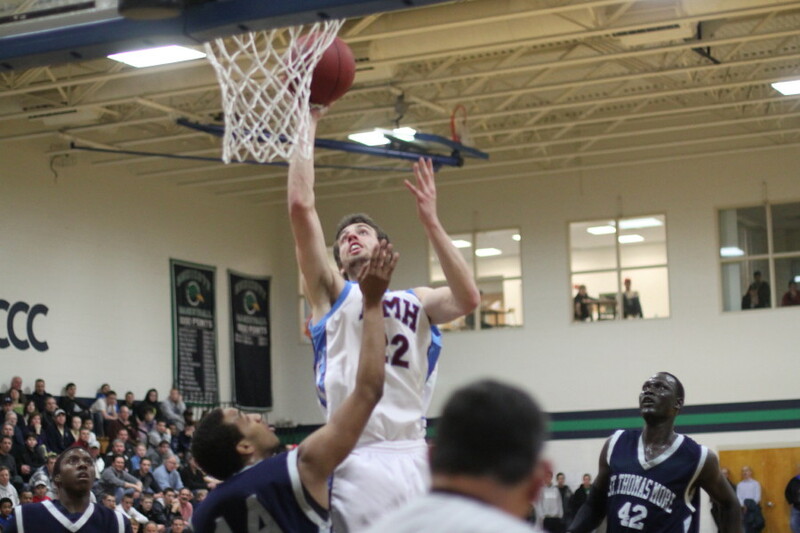 Danny Connors (18 points) added twelve first half points. 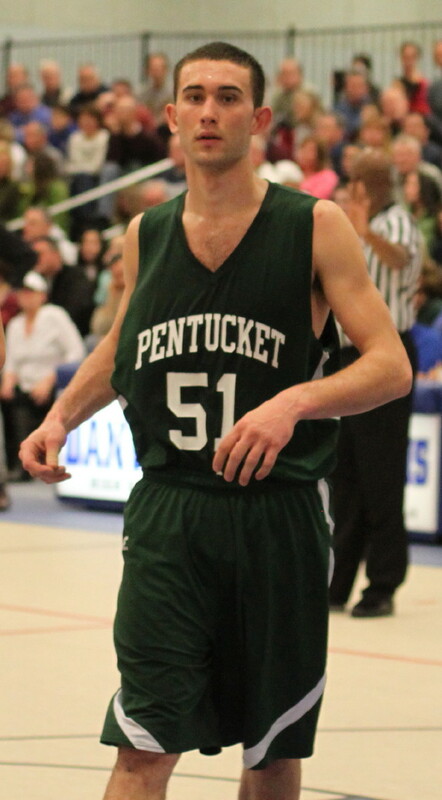 Meanwhile, Pentucket had very few good looks thanks to persistent man-to-man pressure. 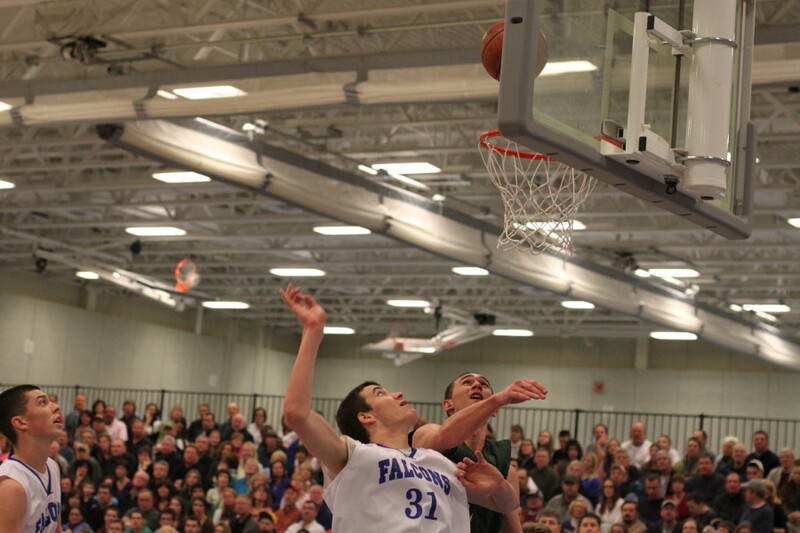 A big plus for Danvers was that defenders had shot-blockers beyond them closer to the basket. 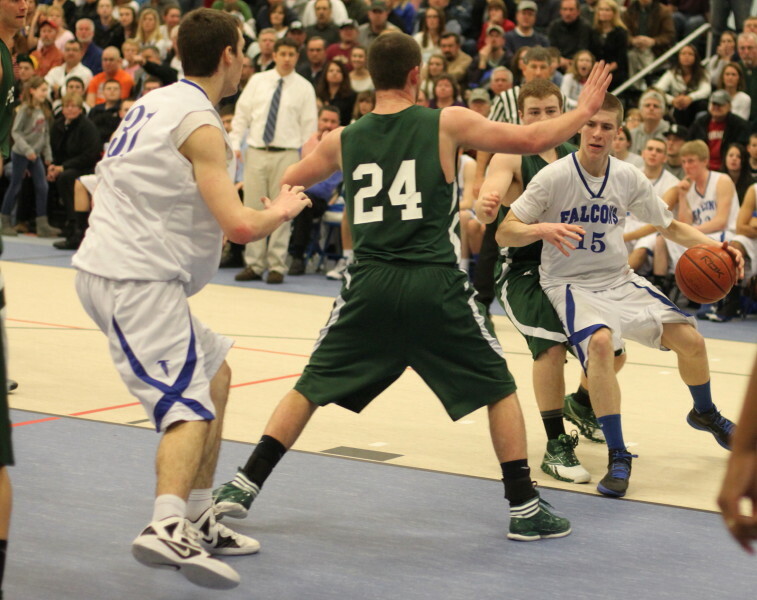 There were very few easy Sachem attempts. 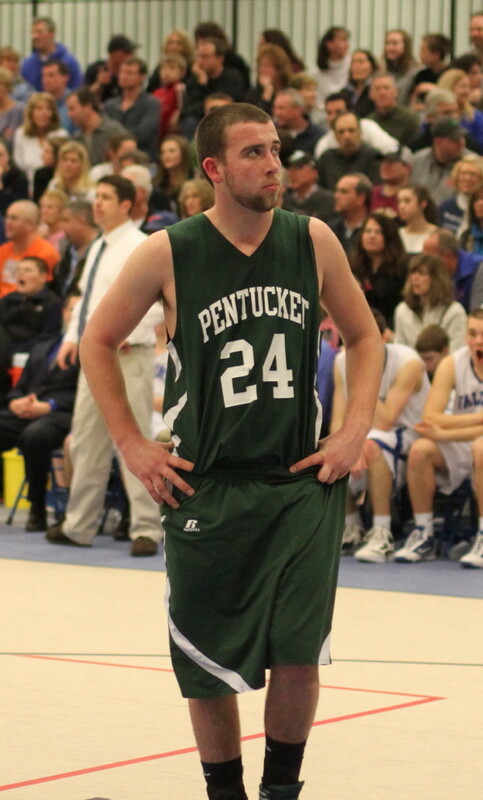 6-6 Will Angelini (20 points) led Pentucket scorers with nifty moves around the basket. 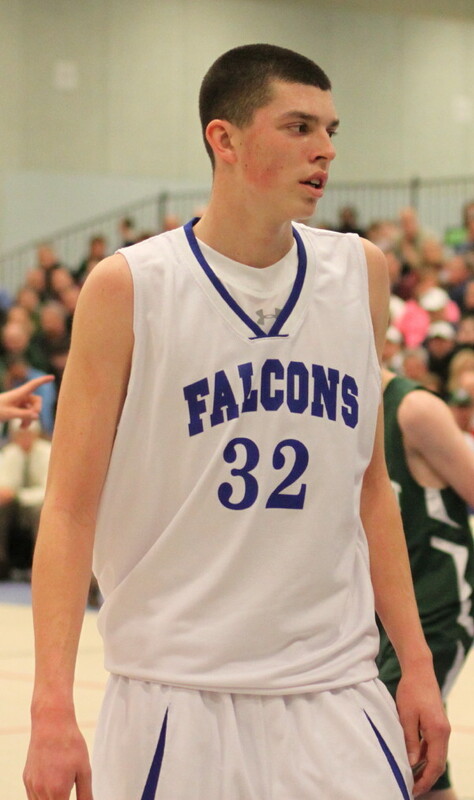 When he went out with his second foul with 2 ½ minutes left in the first quarter the Danvers lead was only 13-8. 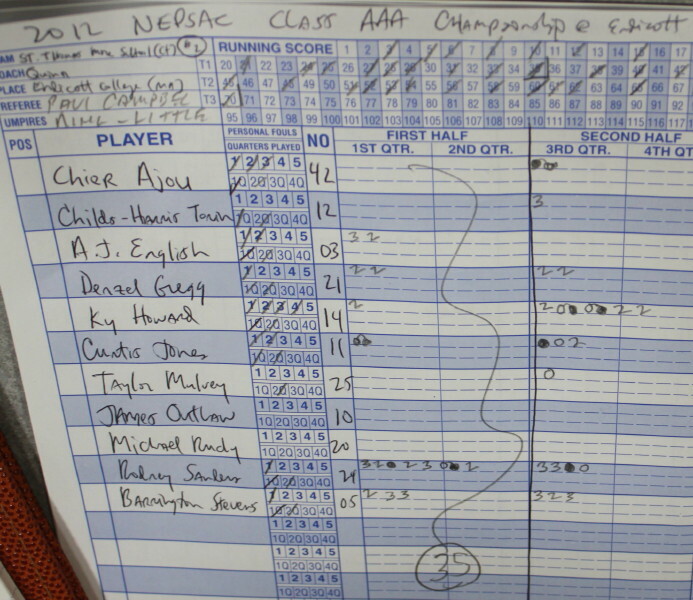 The rest of the quarter the Falcons put a 10-4 run in place and took a 23-12 lead over the team from West Newbury. Halfway through the second period that 11-point quarter edge had become twenty (38-18) and you knew that things were not likely to get any closer. 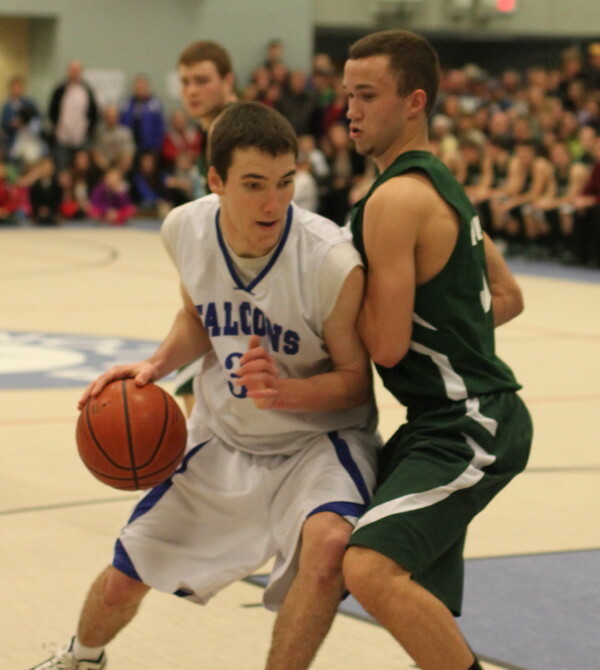 The Falcon advantage increased to 63-34 by the end of the third quarter. 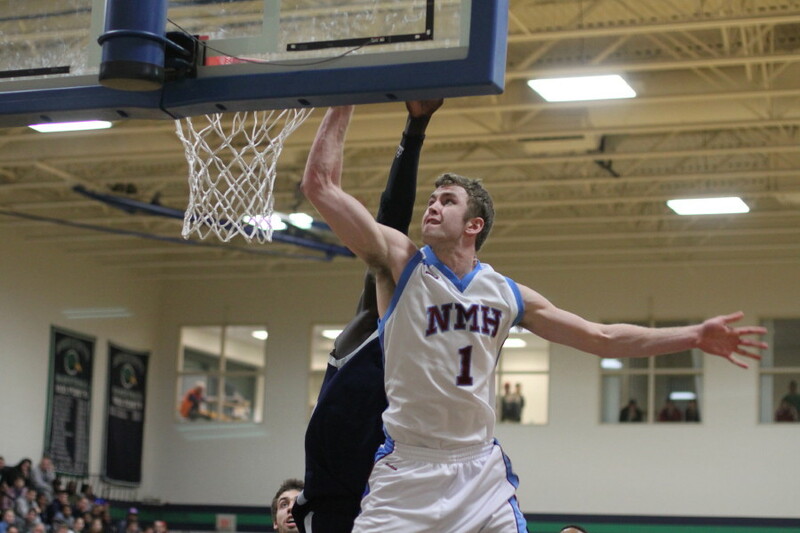 The most exciting play of the game was in the second quarter when Will Angelini flew in from the right on a feed from Patrick Kelly and put down a rousing dunk. 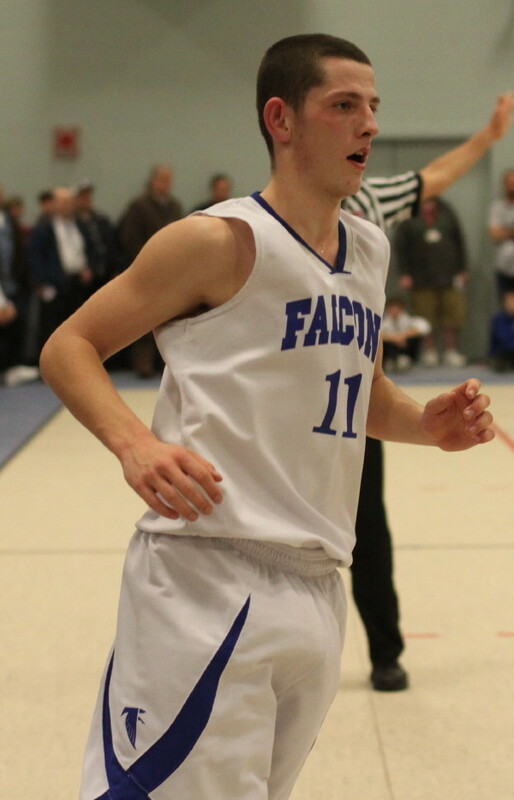 When DHS coach John Walsh announced in the press that Corey McNamara was the best shooter he had seen this year, you knew that the word would reach the Falcon defenders. Corey has been no stranger to tight coverage this season. 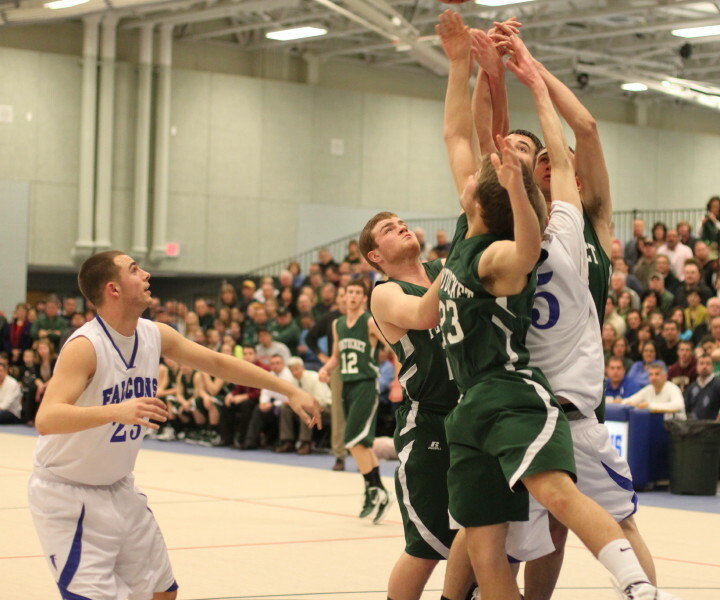 That Danvers could limit the senior to eight points says something about their defenders. One nice thing about this type of game is that the reserves get to play in front of a large crowd. There were people turned away. DHS is close to installing permanent bleachers. 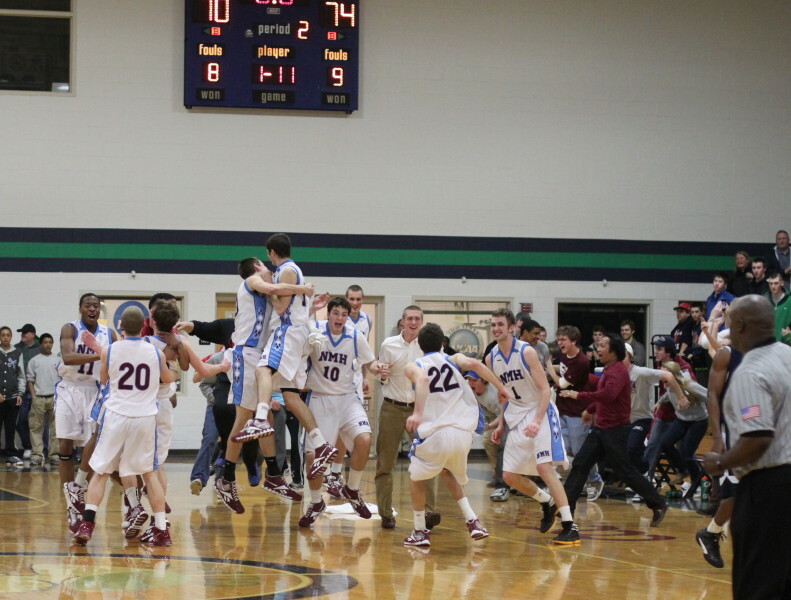 The extra seating provided by those bleachers would have helped in handling a crowd estimated between 800-1000. The students on hand were especially well behaved after school officials got within range of them. 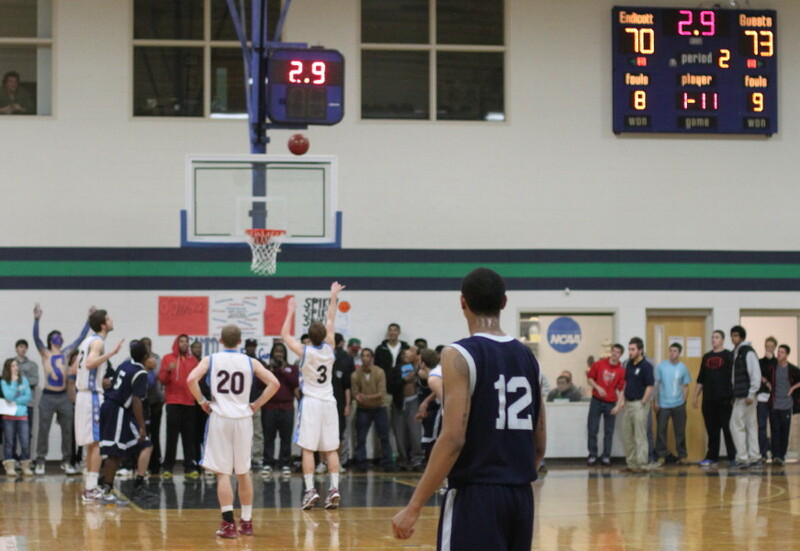 The lights in the gym flickered with about six minutes left. 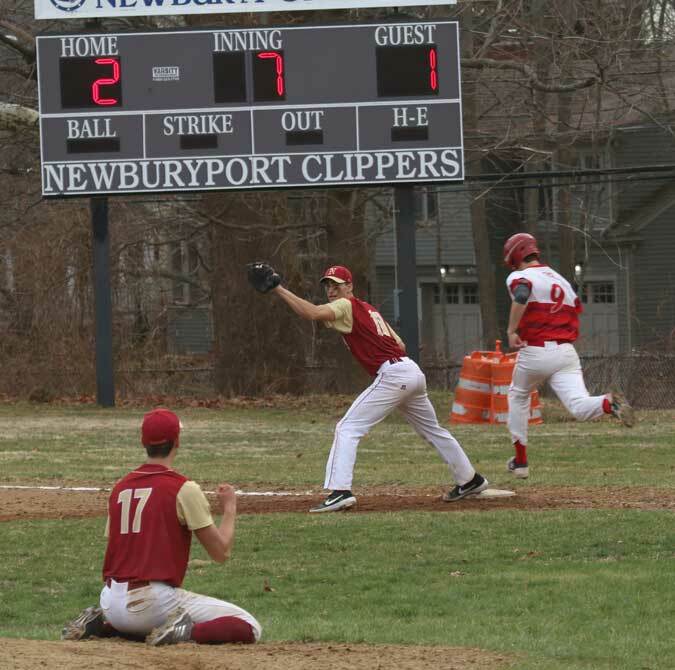 Someone quipped at the time that the lights had gone out for Pentucket quite a while earlier. 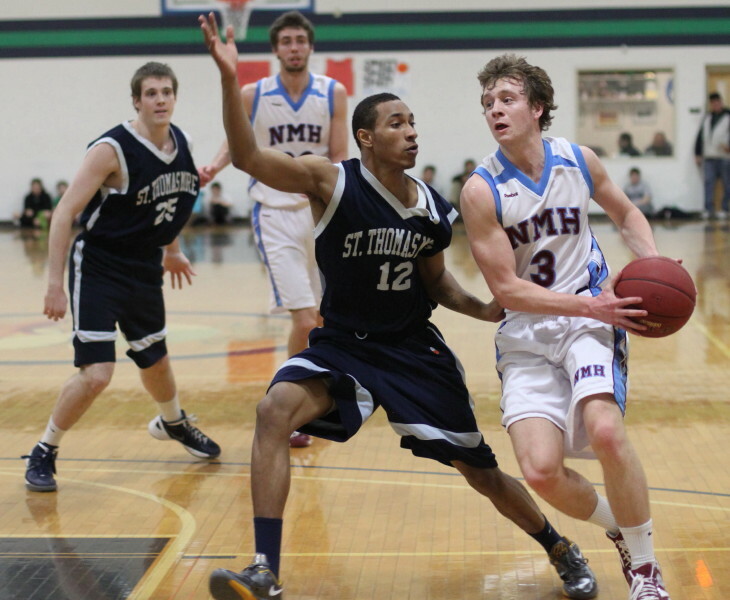 6-7 George Merry ran into foul trouble covering Will Angelini but still ended up with thirteen points. 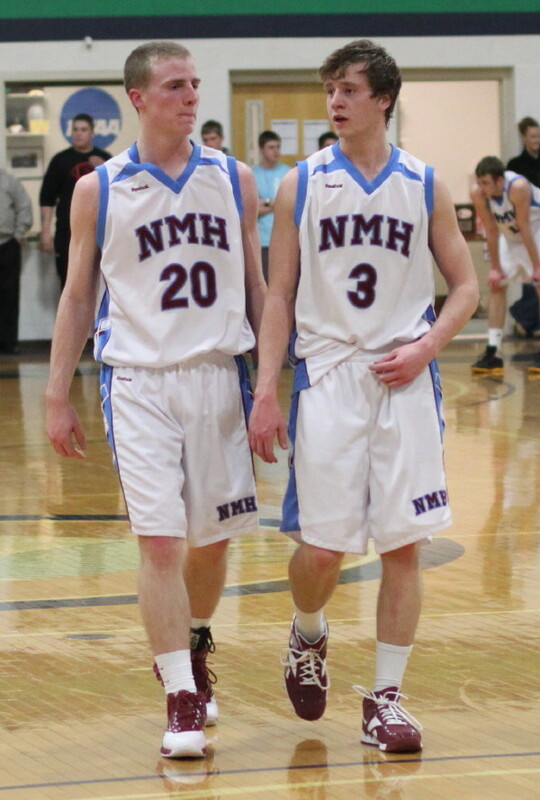 Will Angelini and Corey McNamara have been significant players for the Sachems for a number of seasons. There was seldom a game in which they weren’t heavily covered. 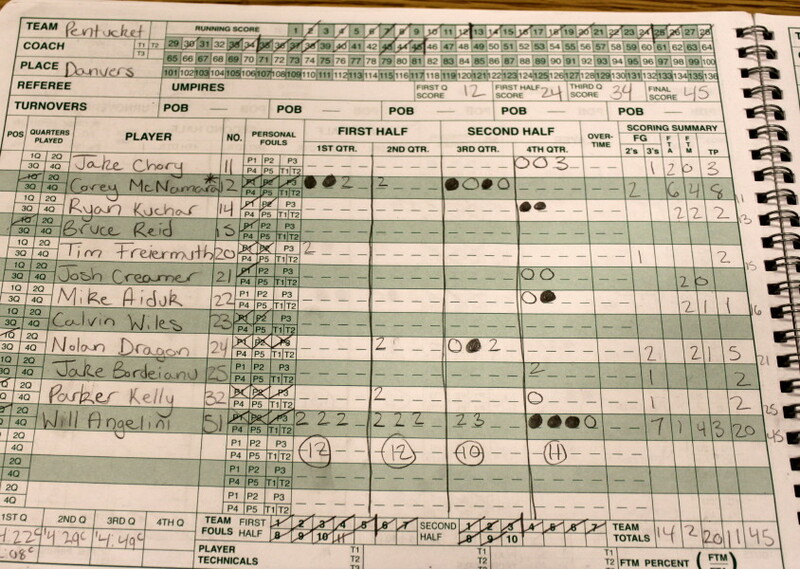 They still managed to score a lot of points. 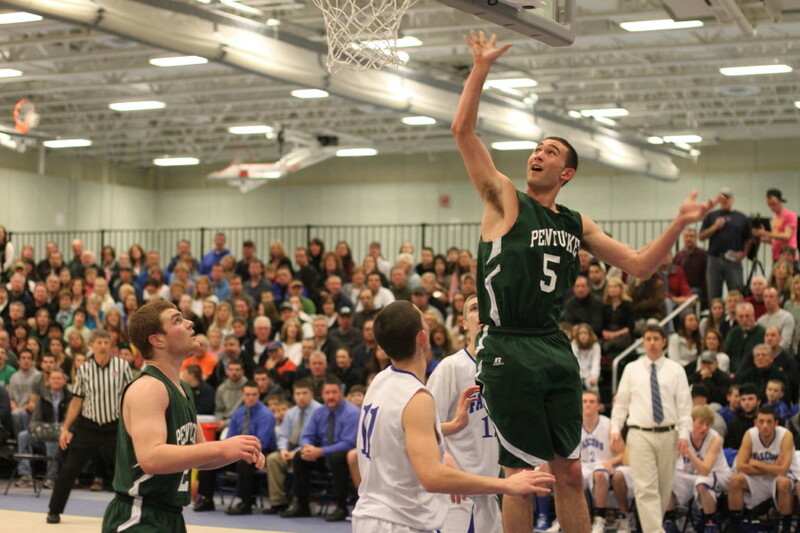 Replacing the two of them will be a huge challenge for PHS coach Leo Parent. 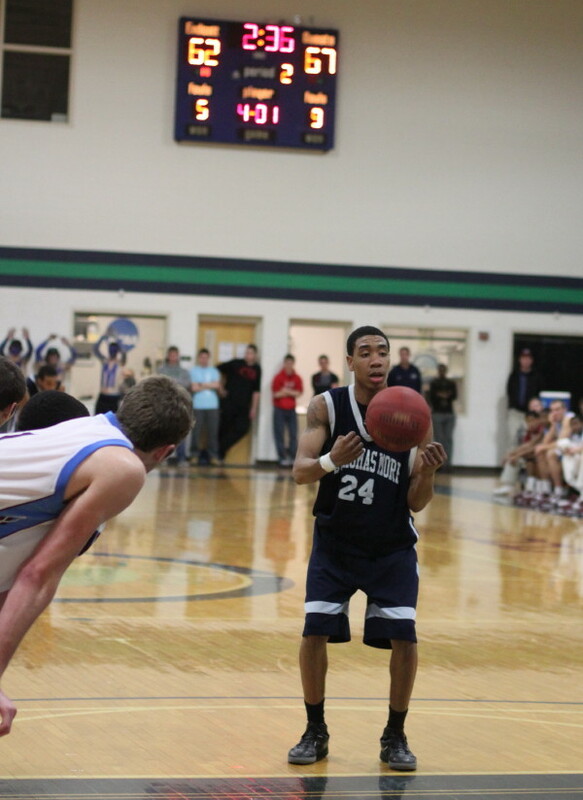 After watching Danvers play I left wondering how any team in D3 can beat them. They executed so well at both ends. 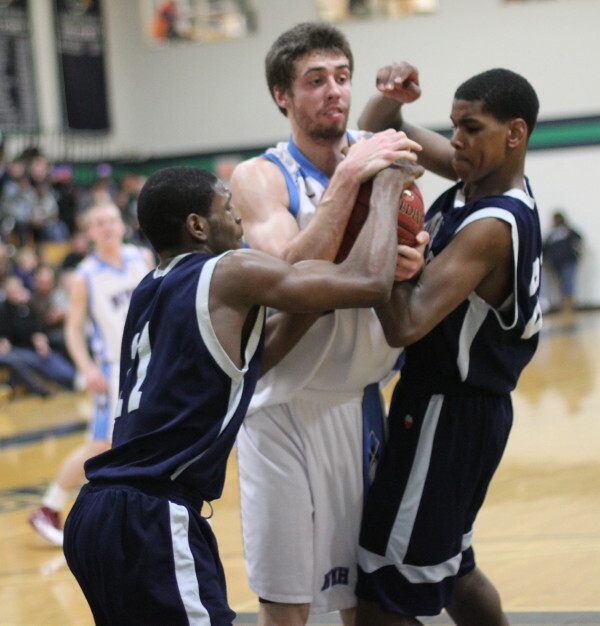 Danvers is a team that plays the regular season against D2 teams and then drops down to D3 for the tournament. Most D3 schools in that arrangement struggle to qualify for the tournament (10 wins) and often need the Sullivan Rule to get in. Not Danvers. 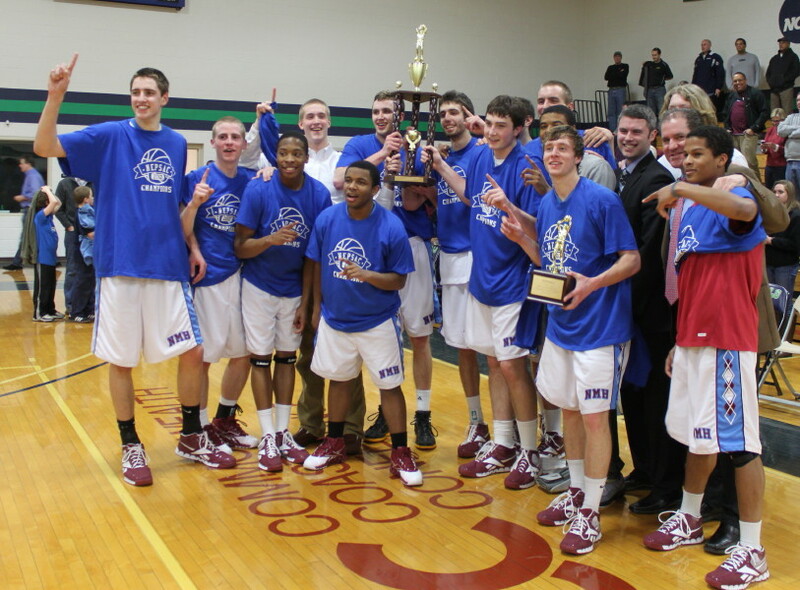 They won the challenging Northeast Conference (South) this season. They could well be playing in the Worcester Centrum later this month. 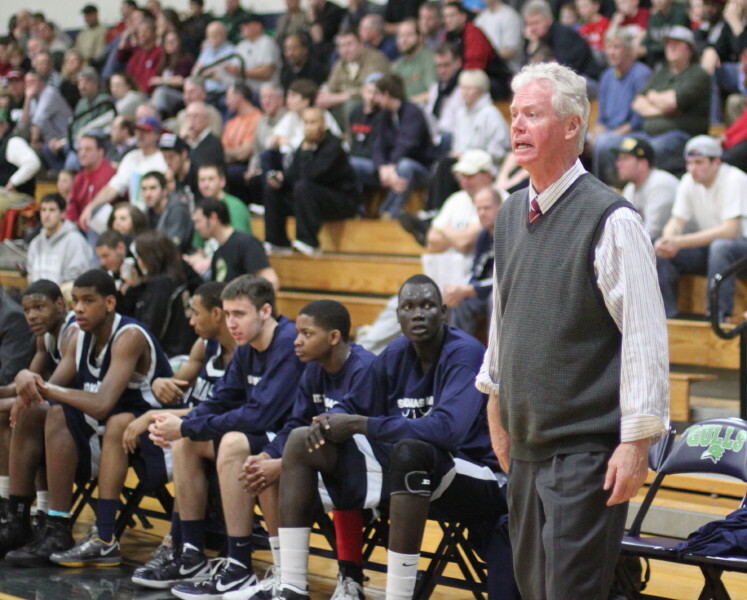 Two coaches with games tomorrow were in the crowd – Tom L’Italien (Newburyport) and John McNamara (Pentucket girls).